So after the release of Linux Mint 18 sarah in the flavours of Cinnamon and MATE,now the team is focoused on working over other flavours too.As a result Xfce has been choosen to be the next flavour to be provided officially. So,If you were waiting for Linux Mint 18 to be available in Xfce DE(Desktop Environment) then Linux Mint team has started to roll the beta release of Sarah in Xfce DE. 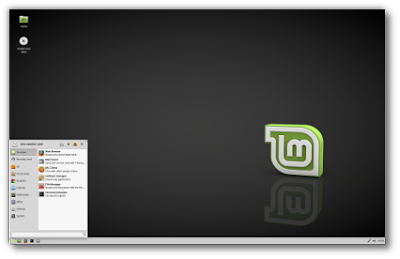 Linux Mint team announced the release of Linux Mint 18 Xfce Beta with some already known issues and workarounds too.This xfce edition features Xfce 4.12, MDM 2.0 and it is coming with Linux Kernel 4.4. This is a Beta release,so users should know it may contaion many bugs and issues ranging from minor to majaor ones too,so if you are to try it just for esting purpose then you may head over to get it otherwise it is recommended to wait till the final Mint 18 Xfce version is available. As most of Distributions are making their ways to only 64-bit releases and supports,here Linux Mint is still providing 32-bit versions as well.You can get both the 64-bit and 32-bit version as per your needs. It was also mentioned in the announcement that upgrade from previous version Linux Mint 17.3 will be available as soon as the stable releases will make it's way to release.It will also be possible to upgrade to the stable release of xfce edition from beta release.